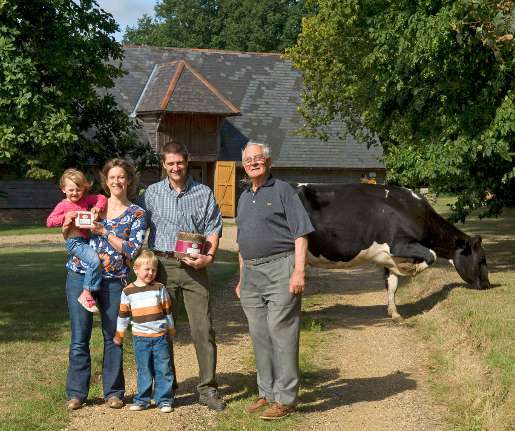 The Betts family have been farming since 1495! Our dairy farm was set up back in 1950 by my Grandfather. 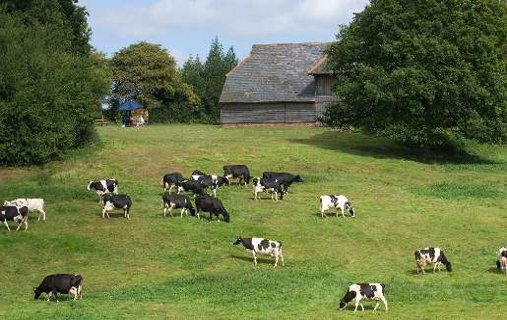 In those days we were milking Aryshire cows, a wonderfully hardy cow and very much suited to the inclement weather we often experience high up here on top of the North Downs of Kent overlooking the historic village of Wrotham. Cheese making was an idea we had back in 2000 and it has been a long hard struggle to save up enough funds and then proceed with all hands on deck in constructing the creamery. This all happened when my wife was bearing our first child! 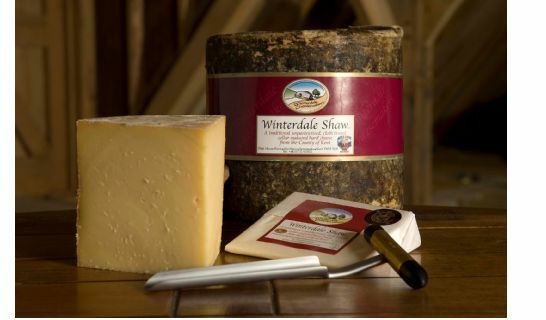 We started by making our unpasturised 'Winterdale Shaw' and 'Winterdale Oak Smoked'. We start with the freshest milk from our family farm. After finishing morning milking by about 9am we aim to get the milk into our Traditional Cheese Vat in about 20mins. We do not tamper with the milk what-so-ever, it is taken straight from the cow remaining at body temperature. In this way the original characteristics of our milk are fully retained. By about 4pm we have made the cheese and the curd is filled into the cheese moulds and then into our traditional wood cheese presses and then pressed for 3 days. We then remove and carefully wrap every cheese in cotton muslin, this will allow the cheese to breathe whilst maturing for some 10 months. 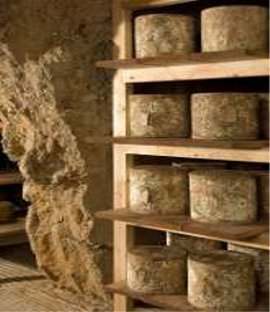 Our most unique part now comes with the truckles being lowered into our cave dug deep into the chalky North Downs of Kent where they will further develop even more interesting characteristics in flavour. We now also make a Kentish Camembert style cheese. These are left in the cool room to give a soft edible rind. As the cheese ripens it becomes softer with a full creamyflavour. It is then handwrapped in wax paper.